ASTM A105 carbon steel can be forged at temperatures in the range of 2200 to 1700 F followed by quenching and tempering or normalizing. The actual hot forging temperatures in closed die forging process will be decided by a number of factors, such as complexity of the forged part. The proper temperature of forging can only be checked at the beginning of forging, higher temperature will probably cause surface defects, such as mill scales, which will bring uneven surface. And lower temperature will be not conducive to the plastic deformation of C1045 carbon steel forged part. A105 forgings are limited to a maximum weight of 4540 kg [10000 lb]. 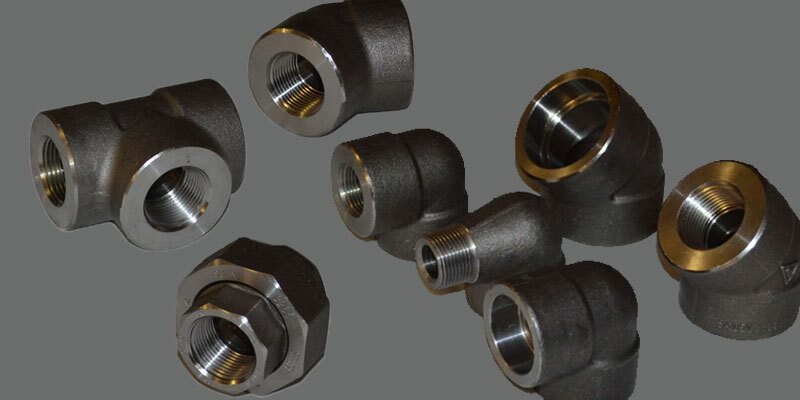 As stated in our quality manual, welding repair of defects in ASTM A105 flanges or fittings is absolutely prohibited by Metals-Piping(although it is permissible by the standard). Heat treatment is not required except for ASTM A 105 carbon steel forging. However, there are some exceptions that will require heat treatment to improve its mechanical properties for better application. The typical heat treatment conducted for A105 carbon steel forgings includes annealing(A), normalizing(A), normalizing and tempering(NT), quenching and tempering(QT). Especially, normalizing at approximate 950°C for 2.5 hours is often required by many clients to eliminate possible internal stress in the forgings. These materials are usually marked as “ASTM A105N”. Machinability of A105 carbon steel forging is good as for any of the low alloy steels.